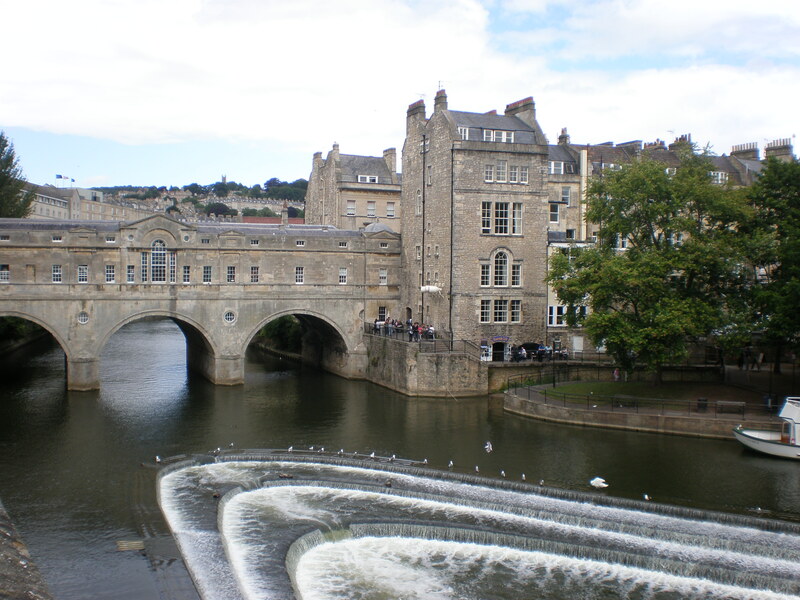 Then we walked to the Pulteney Bridge which crosses the River Avon. It’s so stunning! And it reminded me of the Ponte Vecchio bridge in Florence because it also has shops on it. However, this one is much younger since it was only built in 1774. I loved the Bath’s architecture. Most of the historical center is built in local honey-coloured limestone in Georgian style. I liked the big park before the bridge;it looked so peaceful but you have to rent the deck chair if you want to enjoy it. We crossed the bridge and had fun in the small maze on the other side of the river. It was time for a meal so we decided to first have an early afternoon tea at the Jane Austen Center and then to explore the museum. Can you believe that my afternoon tea at the Regency Tea Room at Jane Austen Center cost only 9 pounds? Well, it was in 2009! 🙂 I had Austen’s tea which consisted of tea, cake ( I had Victorian sponge cake) and finger sandwiches (I had cheese& cucumber sandwiches). 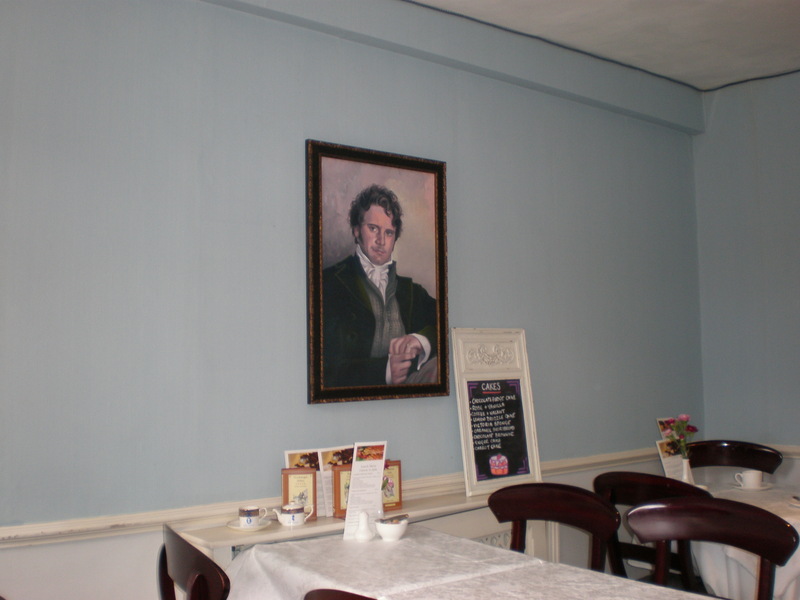 All the staff were dressed in period costumes and there was a painting of Mr Darcy on the wall. But the painting of the actor Colin Firth as Mr Darcy from his movie Pride & Prejudice! Jane Austen lived twice in Bath but not actually in this house. It was interesting to see some period costumes and some writing material and to learn more about Jane Austen. I read almost all of her books a long time ago. It’s an interesting little museum that doesn’t take itself too seriously. Next item on our agenda was the Royal Crescent. But we first came across the Circus, designed by John Wood, the Younger and originally called the King’s Circus. It’s a circular space surrounded by large Georgian townhouses divided into three equal segments. I bet it’s expensive to live in one of these flats (Grade I listed building). 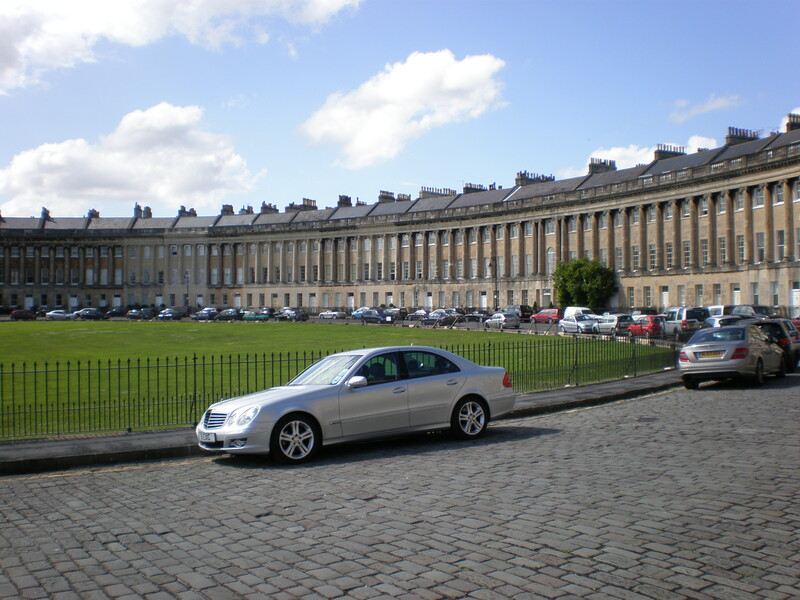 The same architect built the Royal Crescent, a row of 30 terraced houses in the shape of a crescent. Opposite the crescent is a beautiful green meadow. Oh, to live here! Sadly, I didn’t visit the No. 1 Royal Crescent, a historic house museum which would show me how it really looked like to live in one of these town houses. Our exploration of Bath didn’t end here. We continued to walk uphill above the Royal Crescent and found two smaller and less imposing crescents. There was also St Stephen’s church, a lot of covetable pretty houses and a tabby cat. I was determined to get to the Tower which I saw on Bath’s map not realizing that it’s actually outside the city ( we marched by the table Welcome to Bath!). 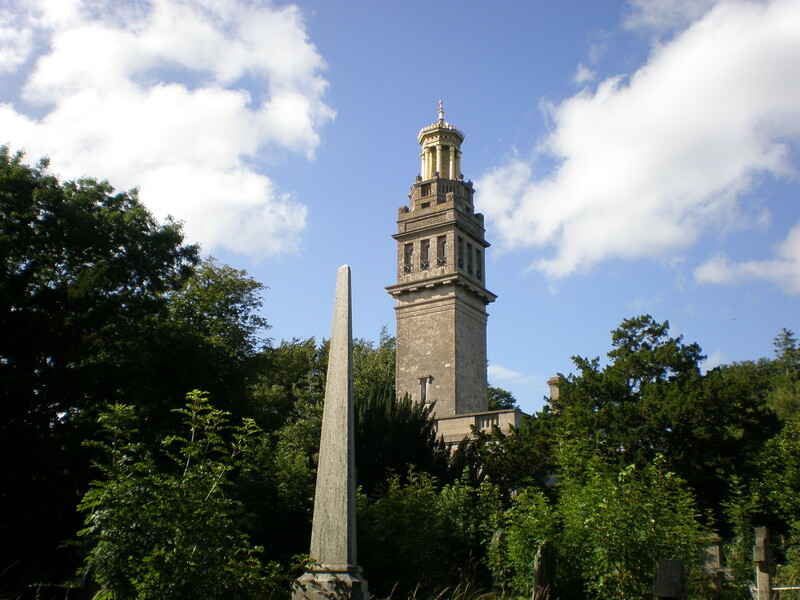 I was so tired and literally falling off my feet but I can get very stubborn so I didn’t give up my search until we finally reached the infamous Beckford’s Tower which is an architectural folly built in neo-classical style. However, it closed just minutes prior to our arrival. What a bad luck! But we were awarded with beautiful sweeping views of Bath from the area around the Tower. Mission accomplished, we walked back down to the city center to eat. I felt a bit better after some food so we walked again to the river and watched the sunset from the bench. We ended the day with a glass of porto at the hotel’s bar. It was my first ever glass of porto! The next morning we checked-out of the hotel and went for a short stroll before we got into our car and drove to Stonehenge. To be honest I was slightly disappointed. Why? Well, I thought that the ticket was a bit expensive since you couldn’t really get close to it (it’s roped off) so basically I could have taken the same photos from the road without having to pay for the ticket. Also, it rained heavily and stopped at the very second we got back to the car. Don’t get me wrong, Stonehenge is wonderful and I’m glad that I saw it but it was just a wrong moment to do it. Sometimes that happens. Nevertheless, it was a great weekend trip. It was time to go back to lovely Suffolk. Bath made a really strong impression on me. A year and a half later I went through Bath by train on my way to Bristol airport to get to Madrid. 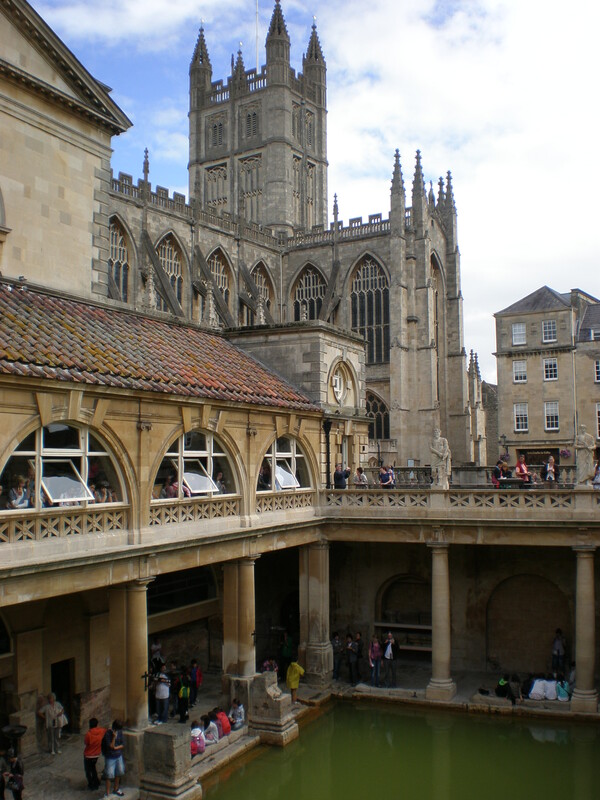 I’d like to visit Bath again properly and to see some other things that I missed on my first visit. Bath looks lovely and has so much history. I have wanted to visit Stonehenge forever but I want to visit during a Solstice and be a Druid for the day lol. I won’t even care if it’s raining. Thanks for being a part of #TheWeeklyPostcard! Yep, then you get to go inside on the solstices! Bath is such an amazing city! Had the best Flapjacks there! Thanks for linking up with #TheWeeklyPostcard! I only spent an afternoon in Bath many years ago so I would really like to go back and explore it more. 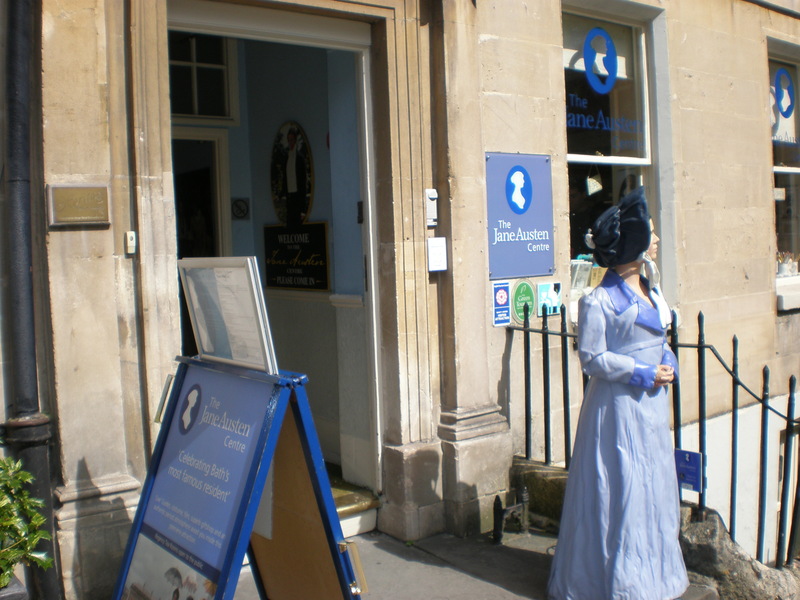 I definitely need to have afternoon tea at the Jane Austen Centre – that sounds like a deal. Thanks for sharing on #TheWeeklyPostcard. A lovely post. The Jane Austen museum is great isn’t it. I’m planning a day trip to Bath later this year so can’t wait to go again. GBP9 for afternoon tea!!!!!! Steal! 🙂 you’ve got time to see it, don’t worry..
There’s something so unique about English destinations. 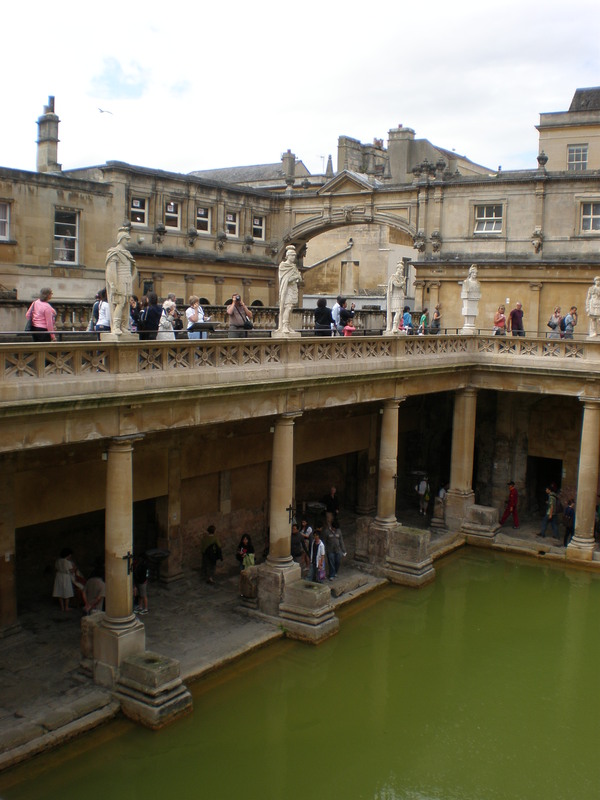 I’d love to visit Bath someday…it’s definitely on my bucket-list. Thanks for inspiring,Tanja! I still have never been inside the roman baths! I need to go! 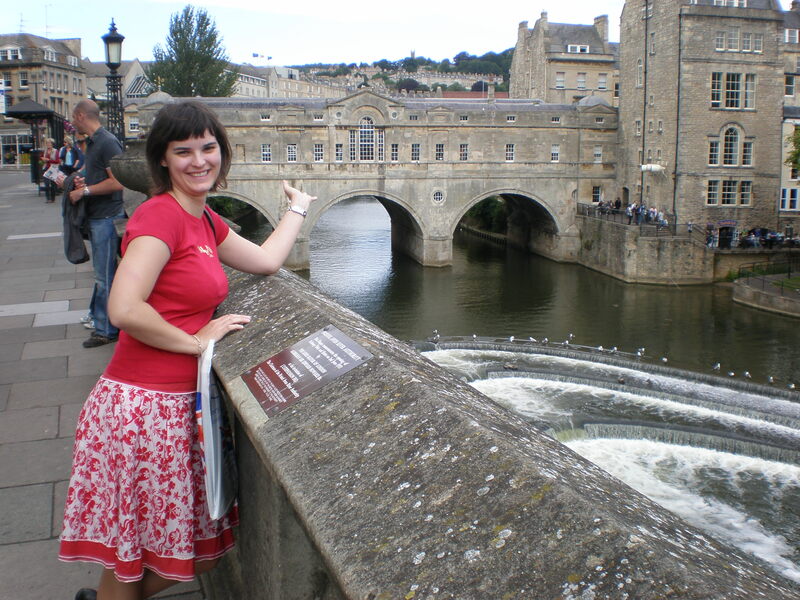 Bath seems like an awesome place to visit, Tanja! How long would you suggest staying there to explore the place properly? I loved Bath as well. One of my favourite days spent in the UK (one of many!) 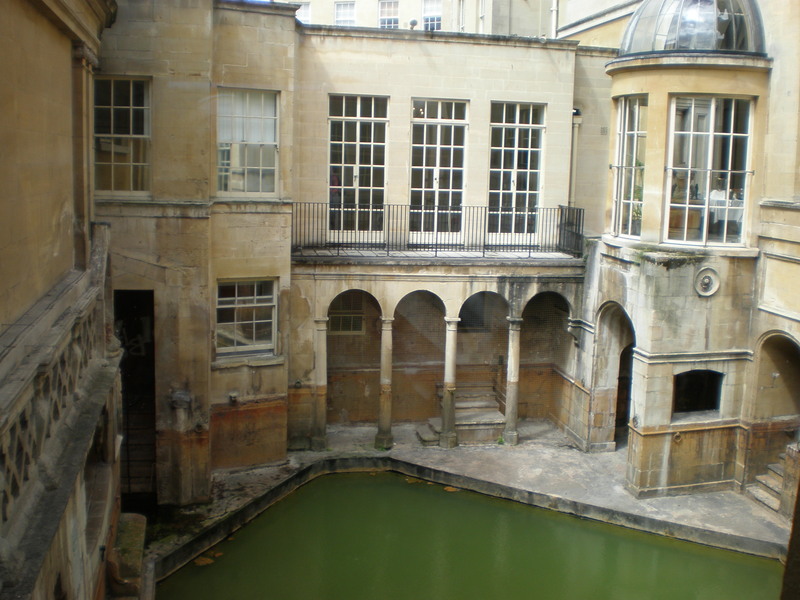 was in Bath in the pouring rain… visiting the Roman baths and then warming up in the rooftop mineral pool of the Thermae Bath Spa which harnesses the same hot spring as the original Roman Bath, looking out over the city and thoroughly enjoying the rain. We tried to go to the Jane Austen museum for tea but it was really busy when we went. I wonder if it’s still £9. It looks like you had a very full trip in Bath! 🙂 your spa experience sounds wonderful! This brings back such good memories of my own Bath/Stonehenge trip! I went just a few months before you, around April 2009, but it was only a day-trip from London so we didn’t see half the things you did. The Roman baths were closed, so it’s great to see what they look like on the inside! Do you know why the water is green? I loved Bath! I also visited the Jane Austen Centre whilst there but was with a friend who didn’t like her (!!) so I couldn’t convince her to stick around for tea. I also was a little underwhelmed by Stonehenge. I am glad I got to see it but it’s not something I feel I need to see again! Ah I love Bath! I’ve only been the once but like you I would love to go back, it’s also great for shopping! 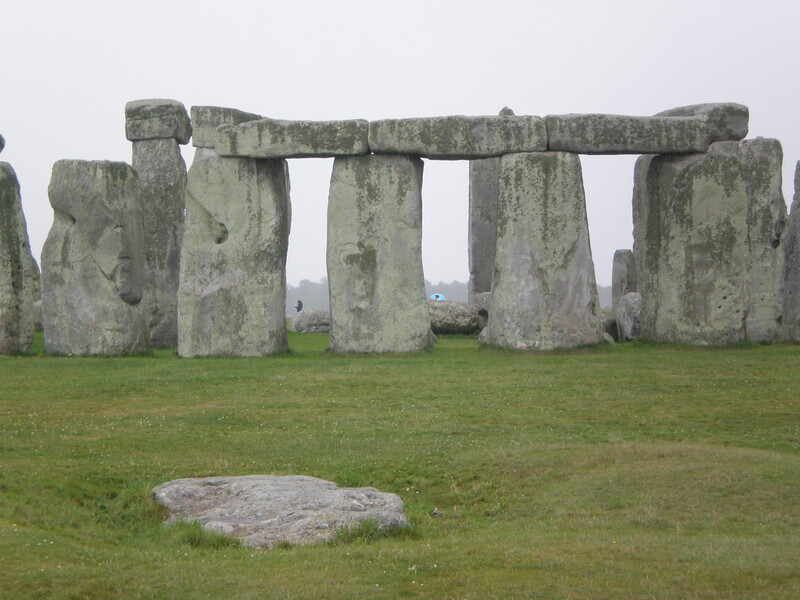 I visited Stonehenge this year, I really enjoyed my visit. When I went there was a little model town of what a typical neolothical village would look like which was really interesting, I think its new so they might not have had that in 09? 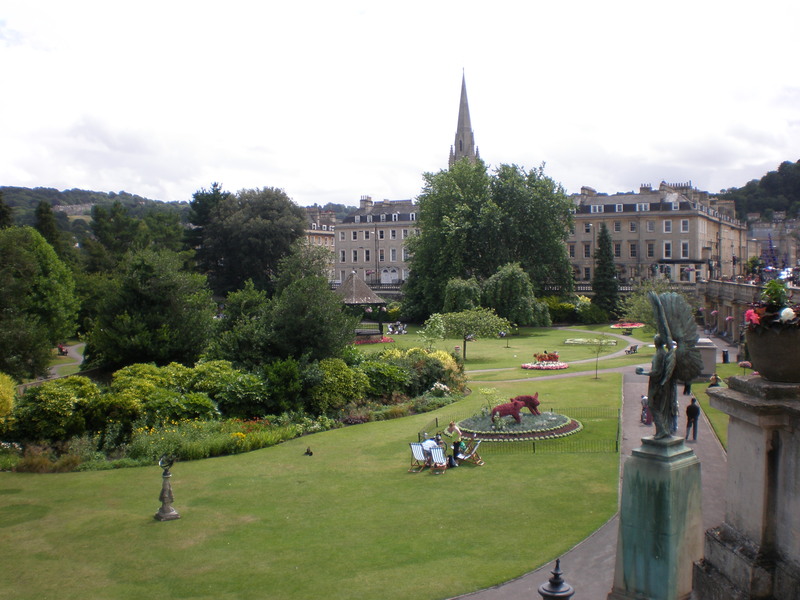 I love Bath – we were there a few years ago, it’s a beautiful city. 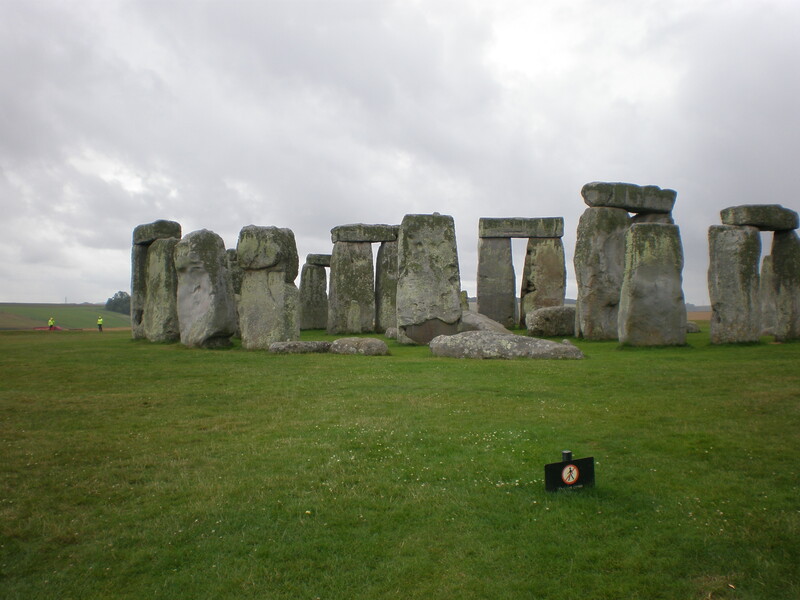 We’re off to Stonehenge this week – hope it doesn’t rain!! Bath is gorgeous, isn’t it? I thought the Roman baths were fascinating. Now I want to go back! I haven’t been to Stonehenge though. We were there 2 summers ago too. How funny!